"It may be a while before I get home." “To’hajiilee” was a chess match, and its ending was like someone walking in and knocking every piece off of the board. Until Uncle Jack and his crew arrive loaded for bear, this felt like a pretty damn spectacular version of how "Breaking Bad" should end. 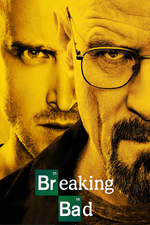 The great Heisenberg is outsmarted by two men he would never expect to be working together, using the same kind of chicanery he employed to take out Gus Fring. He confesses many of his biggest sins, returns to the scene of his first crime and is cuffed and Mirandized by his brother-in-law. That turnabout—from Jack’s gang doing Walt’s bidding, to Walt doing Jack’s—is merely the last and most explosive instance of “To’hajiilee's” narrative structure: Mice turning into cats (and back again). The seesaw of hunter and hunted, plotter and pawn, victim and perpetrator, wobbles so fast in this episode that inattentive viewers (if any are left on this show) will likely experience whiplash. In that split second, “To’hajiilee” turns—and Gilligan’s true vision for Breaking Bad becomes clearer than it’s ever been before. As I watched the final shootout—the hail of bullets buzzing back and forth between Hank and Agent Gomez on one side and Todd, Uncle Jack, and Uncle Jack’s neo-Nazi buddies on the other—I thought back to what Gilligan had actually said to me. “I absolutely see Breaking Bad as a modern Western,” he’d explained—emphasis on the modern. Hank isn’t the hero. There are no heroes. There is only Walter White and what he hath wrought. And in the end, that’s what “To’hajiilee” is telling us. That Breaking Bad is about Walter White’s descent—not anyone else’s heroism. For all the ugliness Walt has put in the world, the last third of this episode managed to be gorgeous. Even the moment he gave up had a beautiful poignance: Walt, wearing white, his hands raised in a gesture of surrender that clearly recalls Christian imagery, was framed just so against the red desert cliffs. The moment before that, behind the rock, when Walt finally gave up, Bryan Cranston made Walt's face go slack with relief. This is just one reason MacLaren is such an brilliant director: Walt's car ride, the showdown in the desert, the John Ford badassery of the episode's concluding scenes -- all those big moments were suitably epic and terrifically alive. And yet the episode allowed a small yet vitally important moment -- a pure desire to stop being Heisenberg and just be a human being -- to register on Walt's tired, beat-up face. Bryan and I discussed this being the most impotent moment for him. He feels shock, betrayed, he feels hopelessness, he feels, Oh my god, what am I going to do now? And then, as he realizes he doesn’t have an out here, he’s going to have to give himself up, as he gets closer to Jesse: anger. So betrayed. So viciously angry at Jesse, and hatred comes in. Bryan Cranston being the brilliant, genius actor that he is, he feels it all. Writer George Mastras interviewed at TV Guide; at The Hollywood Reporter; at Vulture. And stepping out of metacommentary now: astonishing that Michelle McLaren wasn't Emmy-nominated for this episode, or that Rian Johnson wasn't for Ozymandias. Instead, Vince Gilligan was nominated for Felina -- and lost to True Detective. That seems an odd choice to me; the finale was OK but these 2 episodes were spectacular. Did Sony (?) not submit them? Or did the Academy simply choose to nominate the finale as representative? Answering my own question: the 2014 Emmy nominating ballot included 7 of the final 8 episodes of Breaking Bad (the omission being Buried which was also directed by MacLaren). So it was the Academy voters that picked Felina as the nomination. Finally Walt's approach catches up with himself here. He thinks he can wheedle himself out of anything, given the right offer, the right amount of money, the right promises. But he's been lucky, really. Lucky that those he has been facing before consider him more useful alive than dead. Hank knows. Hank gets a triumph here, not only in successfully catching Walt, but in understanding and accepting his fate. Hank doesn't deserve the end he has here, but he faces it well, something Walt completely fails to do. Walt's action? To snarlingly make sure Jesse gets caught to. That's one hell of an ending for this episode, choosing not to end it just before the shootout or just after it, but in the middle of it. Wonderful direction of Walt finally getting caught, and a nice callback to "Two Minutes," with Hank placing the call telling Marie that everything's fine just before all hell breaks loose. So much emotion about this one, knowing what happens. I recently discussed how Breaking Bad uses actual New Mexico locations, settings and scenery with some co-workers, and this episode highlights that, including the name of the specific location. As pointed out in the Vulture article, the Navajo (Diné) word To'Hajiilee translates as "bringing up water from a natural well," which has meaning for Walt's first words to Jesse: apply yourself.